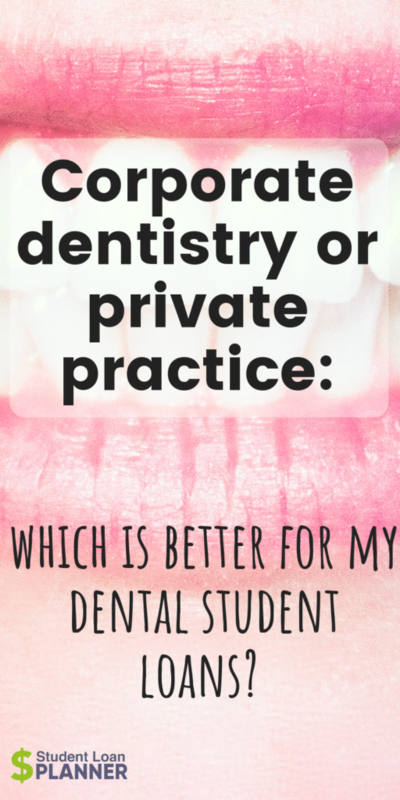 When comparing corporate dentistry vs private practice work, which one is better for your dental student loans? Corporate dentistry wants your student loans to make you afraid of taking risks. I’m not accusing DSOs of anything devious but there are pros and cons of corporate dentistry. Like any business, the owners want a reliable pool of labor that’s perfectly happy with good benefits, a predictable income, and the illusion that working for someone else is safer than working for yourself. Perhaps a smart business model for Student Loan Planner would be to work with corporate dental groups to make student loan plans for their employees. The problem is that would impair my ability to write articles like this. Decades ago, there were 3,000 graduating dentists a year. Today, there are more than 6,000 new dentists each year. Dental student loan balances have also skyrocketed. Regulations and declining insurance payouts have drastically reduced the income of an average dentist as well. In 2005, that average stood at almost $220,000. In 2015, the average dentist salary had fallen to about $180,000. Here’s what I’ve learned from making student loan plans for hundreds of dentists. The higher your student loan balance, the more you should want to own your own dental practice. What About Student Loans Makes Dentists Afraid of Running their Own Practice? Most dentists tell me the first time their loans got real was in the first month or two after graduation when their loan servicer sent them their statement. Interest rates as high as 8% on Grad Plus loans are ridiculously high. You probably have tens of thousands of accrued interest, too. If you owe over $300,000, your payments need to be higher than $3,000 a month just to make a meaningful impact on the principal balance. A typical new grad starts their career as an associate working for someone else earning around $120,000. 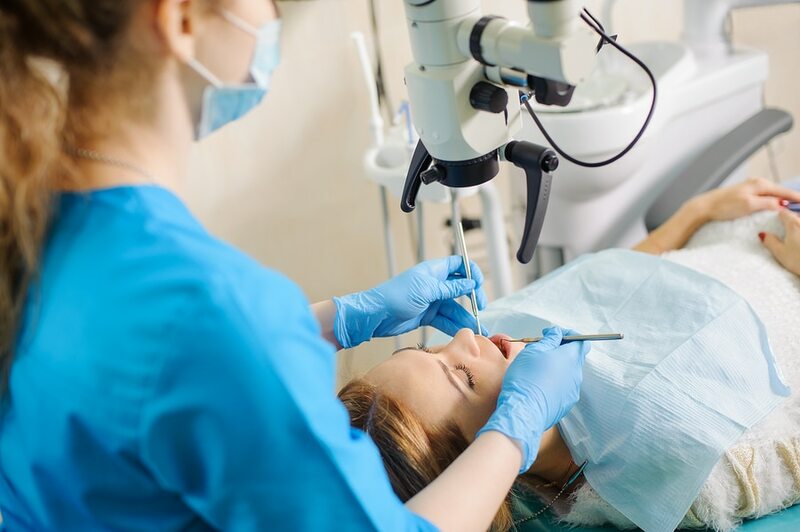 Many dentists think about paying back their loans, but how do you do that when you’d be paying about 40% of your take-home pay? Since you receive a letter in the mail every other week from a bank telling you to refinance, you might be tempted to pull the trigger. Thus, your big payments get locked in. Can you take the refinancing risk and then borrow to buy a practice too? It makes many of my clients terrified. Instead of buying a practice, they might work for years at Heartland, Pacific, Aspen, Comfort, etc. as an associate just to have a guaranteed income to pay down their student loans. Remember that the goal of any employer is to give you just enough that you won’t want to leave. That can lead to complacency on the part of employees. One of the fast-growing ways to make new grads feel attached to their jobs (in general not just in dentistry) is student loan payment benefits. As humans, we are prone to the fear of loss. It’s why we hold onto a bad investment even though the rational action might be to sell it. Fear of loss is why we keep a lousy house, car, or vacation property even though we know we should get rid of it. I just saw a case of a doctor on Facebook who was having a really hard time getting out of a $600,000 house he knew he shouldn’t have bought. The reason? He didn’t want to lose $15,000 on it. That’s extreme loss aversion. He’s cool flushing tens of thousands down the toilet rather than downgrade to a more affordable house just because he doesn’t want to psychologically admit the mistake and take the financial hit. Likewise, there is a negative psychological impact when you leave a job with a student loan repayment benefit. If your employer offers $20,000 a year towards your student loans, it hurts to give that up for an uncertain ownership path. Corporate dental groups use other methods to make employees not want to leave. They realize that many dentists would get restless without a seat at the table in their practice, so they’ve invented a lot of hybrid ownership structures. Pretend Dave is a new grad and associates for a practice in a random part of the country. His starting salary is $120,000 with a 10% to 30% bonus based on how the practice does. His office produces $1.2 million after three years on the job. The dental practice does not want to lose Dave, so they show him this amazing projection of income that tops $300,000. All he must do is buy 50% of the practice and stay for 10 years. He’ll be a majority owner, and the DSO will handle all the marketing, hiring, billing, and operations. They want him to pay at a valuation of 75% of revenue, and they’ll have him take out a loan for 50% of this price to purchase 50% of the shares. Dave has a lot of student loans, so he really likes the idea of having the DSO handle all these business functions for him so he can focus on dentistry. The high projected salary they show him makes him feel confident that he’ll be able to pay his loans off one day. Why is this not a great deal financially for Dave? Many new associates are hungry to prove themselves, which often results in much higher practice revenue within a few years. Many dentists turn around and take an even bigger loan out to buy this increased production from themselves basically. You can prevent this with an option to buy a practice at an agreed upon % of revenue at your start date. Another common pitfall happens like this: an accountant tells you that the whole dental practice you’re looking at is worth $1 million. The ownership group then offers you a 40% stake for $400,000. While this sounds fair, it’s not. 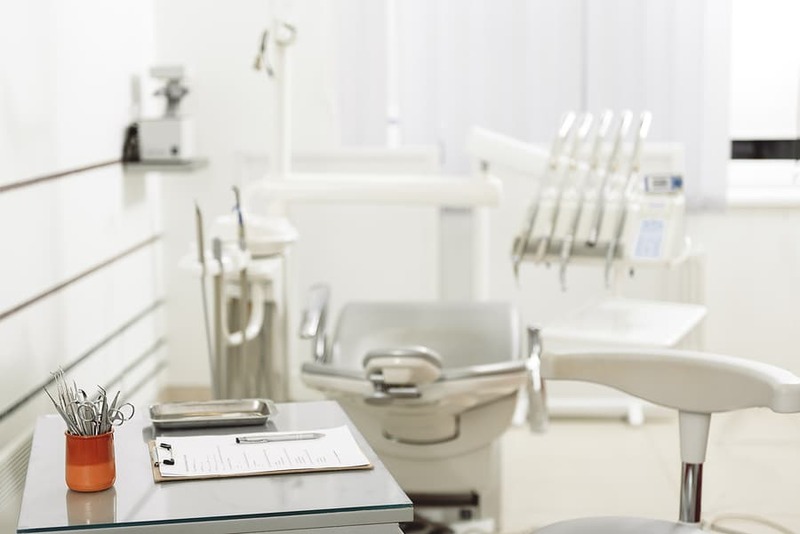 If you had to sell a minority interest on the open market to someone not affiliated with the dental practice, you would have to accept a discount on the price because they’re not getting full control. 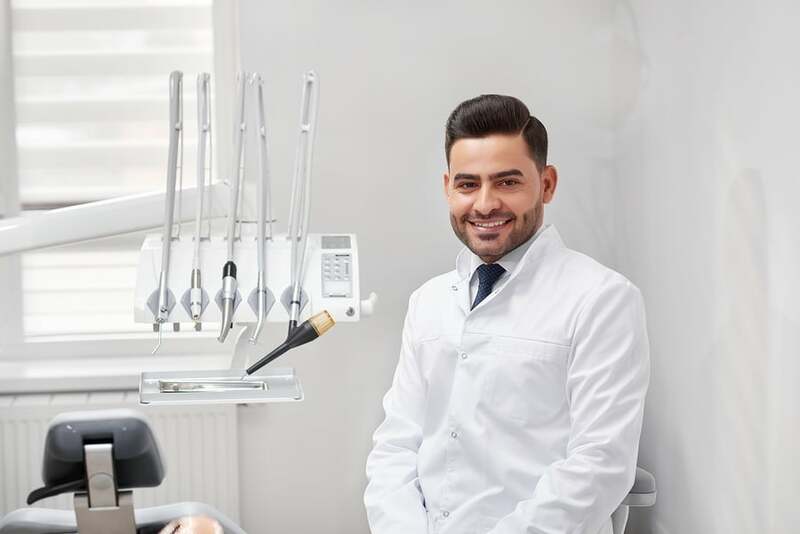 When ownership agreements include the exclusive right of a corporate dental group to provide business services (like marketing, HR, operations, etc. ), you reduce your pool of buyers. Who wants to be saddled with a contract from the previous dentist? Perhaps the best buyers own the other shares, and thus they can offer you less for your shares. Another thing to keep in mind is that majority control is often worth more than you think. If you control 51% of a dental practice, you have the power. You would not want to pay 49% of the practice valuation for 49% of the practice. I could give more examples, but the point is that if you’re even thinking about entering a partnership agreement, you should run the contract by an accountant used to valuing dental practices. Otherwise, how can you know that the agreement is fair to both parties? When you’re dealing with a sophisticated organization like a corporate dental group, any agreement you sign is likely to be biased against your interests without someone equally sophisticated in your corner. Another concern I see with dentists who partner with DSOs is that they don’t want to take on so much debt to own a practice. They look at the $600,000 to $800,000 price tag of many solid practices and get squeamish. In terms of securing a practice loan, banks will be happy to give you most of what you could want, even with a bunch of dental student debt. The only issues I’ve seen are with loans for jumbo-sized operations (more than $2 million in revenue, then it might get tricky). Of course, you need to have a track record of at least a year with solid production history for a bank to feel comfortable. That said, getting capital to buy 100% of the practice you want will not be a problem. In terms of the fear of taking on more debt, I get it. You’re already feeling nauseous that you owe over $300,000 from dental school and you’d like to keep that debt as low as possible. However, dental practice loans are a different animal. Almost all the loans get paid back. In the rare case that the dentist defaults, the primary culprits are alcohol and drug abuse, not bad business results according to the bankers I’ve spoken with. While $800,000 of business debt can look very intimidating, a dental practice is going to pay for itself over time. The profits of the business pay off the practice loan, and eventually, you own an asset in full. The tens of thousands you had to pay towards your business loan you will recoup one day as additional income once the loan is gone. The bigger the practice that you buy, the bigger income number you will have all things equal. Finally, pretend you’re the kind of dentist who likes to turn off the lights and go home. This is one of the biggest reasons I hear from dentists who choose to be associates long-term or partner with DSOs. As a dentist, you’re doing most of the work to keep the practice humming from a revenue perspective. Yes, corporate dentistry might bring in the patients, help with staffing, and run marketing, but what are these services truly worth? What I find is that many dentists do not realize that they don’t have to do it all by themselves as practice owners. There is a huge industry of practice consultants and dental professionals that handle everything from collecting bad debts to billing to websites and more. They’ll run your marketing, assist with staffing issues, and even help with compliance. I heard of one company on the Millennial Dentist podcast the other day that even customizes chatbots for practice websites. Many of these professionals might charge $10,000 or more for their services. While that seems steep, many dentists pay much more than that by partnering with a corporate dental group. Pretend the practice net income is $500,000 and you’re a 50/50 partner with a DSO that handles business functions. We know that in more than 99% of cases, dentists successfully pay back practice loans. That means that the dental practice will pay for itself in time. Hence, the dentist is paying about $250,000 a year for the services the corporate dental group offers. What kind of team could you build to support your practice with that kind of money? Furthermore, many expenses might be front-loaded in set up costs. If you set up the website, social media, and operating systems well, they might need only occasional maintenance for example. While I understand the appeal of turning the lights off and going home as a fellow entrepreneur, you might as well capture the full benefits of your labor. Groups that help you outsource business-related tasks that take an ownership percentage are essentially doing the easy stuff while you do all the bread and butter dentistry that keeps the lights on. If you have no debt and want a flexible lifestyle with good benefits, working for a corporate dental group might be a great decision. If you absolutely cringe at the thought of talking to anyone about business, then perhaps you should work for a DSO as well. I beg you though, please do not let your student debt influence your decision to become an owner or not. It shouldn’t deter you from the advantages of starting a private dental practice. You should consider buying a practice as soon as you feel comfortable doing so if your goal is getting a good return on your educational investment. Bankers consistently tell me the default rate in their dental practice loan portfolio is extremely low. That means there are big profits to be made in dentistry, even with the increasing number of graduates. The headwinds of big student debt and ever declining insurance reimbursement rates make ownership scarier than it used to be, but too many dentists are not confident enough to take the leap and live the dream of ownership. The math is still stacked in your favor. You can do this, especially if you owe a ridiculous amount of debt from dental school. If you know you’ll eventually refinance, use REPAYE and make prepayments until you’re firmly established in your practice. This will keep payments low and allow you to show a healthy cash flow profile to bankers. If you want us to create a custom student loan plan for you that incorporates your career goals, we can do that for you. Just use the contact button at the bottom right to tell us your story. If you know you’ll owe more than double your income for most of your career, the tax breaks and income optimization from practice ownership are invaluable. You can increase the financial security of your family while minimizing your taxable income and increasing the amount of loans forgiven. I have nothing against corporate dental groups. They have contributed to innovation in the field and have provided a predictable stream of jobs for new grads to learn the ropes. I just want to look out for the interests of my dentist clients exclusively when they compare corporate dentistry vs. private practice. As a solo practice owner, you can have a high, stable income with a degree of autonomy that’s rare for healthcare professionals. Cede that autonomy with great caution to a DSO for an illusion of safety and security. Travis, I know you are a strong proponent of ownership but you seem to forget the basic economical tenet of supply and demand. If every or most of the new grads go out and get their own practice, a different set of problems would emerge. First of all, there aren’t enough existing private offices for sale to accommodate all of the new grads, who are increasing in numbers. Secondly, even if there were enough practices, they would surely be bid up in an overvalued situation for the new grads, paying through the nose with multiple bidders and this creates more debt. Finally, those grads who can’t find practices will strike out on their own in startups. This will mean an increased number of dental practices and what do you think the net effect will be? There are already saturation in practices and adding more to the mix simply brings everyone down. You know the situation well with saturation I am certain. So, in the long run, just having everyone own is not the answer. It might actually hasten the profession’s run to the bottom. And we are not even getting into the question of whether some people have the financial savvy to run a biz. These are good points , but my view is that we are a ways away from the point where this would happen. Ideally ppl who would do startups would be able to move to less served areas. Yes we are seeing practice values bid up, but in the extreme scenario you mention, the supply of labor would be vastly diminished, making corporate less of a comepetitor as a bidder. I think corporate dentistry could be good from a societal standpoint. If I’m looking at it from the individual dentist point of view though, I don’t see how it’s as good as owning for most people. I honestly can’t see corporate dentistry being good at any level. Dentistry is a healthcare so the final decision should always be based on the patient’s well-being. When you are corporate and owned ultimately by investors who want to make money, the decision is almost certainly going to be muddied by thoughts about profits and doing things towards that end. I think corporate has been the worst thing to happen to dentistry, much worse even than insurance, saturation, etc. It basically has degraded the quality of dentistry going around and is driving the overall race to the bottom. No one gains in that scenario including patients. As for startups in less served areas, the distribution problem has been there from the beginning. Everyone knows that if you go to a less served area you can do better, but how many times have you talked to people only to have them tell you that they still want to live in saturated areas for their perceived lifestyles. Therefore, I don’t see the situation improving just because people are not going to do what they already know. The situation here in the U.S. is like what happened to dentistry in Japan a couple of decades back. At that time, dentists in japan made a good living so schools jacked up the tuition so much eventually that people decided that it became unprofitable to become one. So the number of students went down, tuition came down, and that’s that. That’s how it is going to go here too eventually, because there is simply no way that anyone graduating with 500k with a basic DDS or 800k with a specialist degree even in OMFS won’t suffer financially. At the very least the time power of compounding will be lost as most of the attention will be dedicated towards debt management. And playing the PAYE/REPAYE game with the tax bomb is full of risks as well. I certainly wouldn’t recommend anyone I care about to get into the field at the moment. I think being a plumber of a HVAC guy has a much better financial payoff with a lot less risk, schooling, liability, stress, etc.